CELEBSWORLD: A Lot of love! Pix stuns in rich cream gown as she takes on maid of honour role at her sister's wedding. A Lot of love! Pix stuns in rich cream gown as she takes on maid of honour role at her sister's wedding. She fulfilled half of her maid of honour duties earlier in the week when she successfully pulled off her sister Charlie-Ann’s hen do. 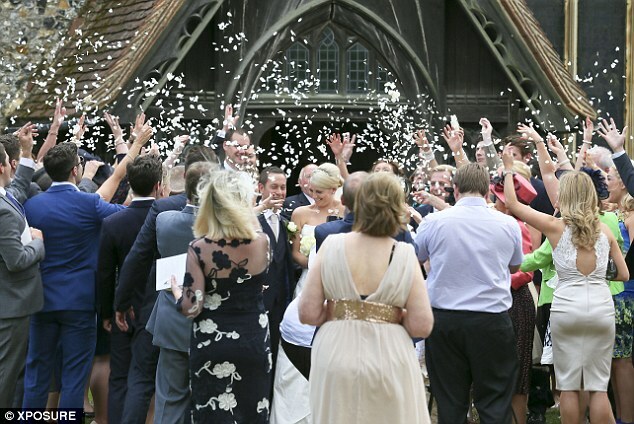 And on Saturday Pixie Lott completed her job as chief bridesmaid as she attended her sister’s big day at a church in Essex. The 22-year-old looked the picture of elegance in her deep cream prom style dress, while managing to not upstage her sister who no doubt drew gasps in her strapless gown. The All About Tonight singer matched her fellow bridesmaid in the dress which featured a full skirt with tulle. Falling just below her knees the dress highlighted her legs, which she often has on show and her sling-back open-toe heels gave her extra height. Her blonde hair was pulled off her face in a stylish chignon and she wore her usual slightly flicked eye-liner to accentuate her almond shaped eyes. Completing her look she carried a bouquet of white roses as she dutifully followed her sister about. Charlie-Ann, who announced her engagement at the beginning of the year, looked the picture of happiness in her strapless dress which featured folds of fabric on the full skirt. Caring Pixie spent time looking after the two very young bridesmaids who joined her, ensuring they were content. 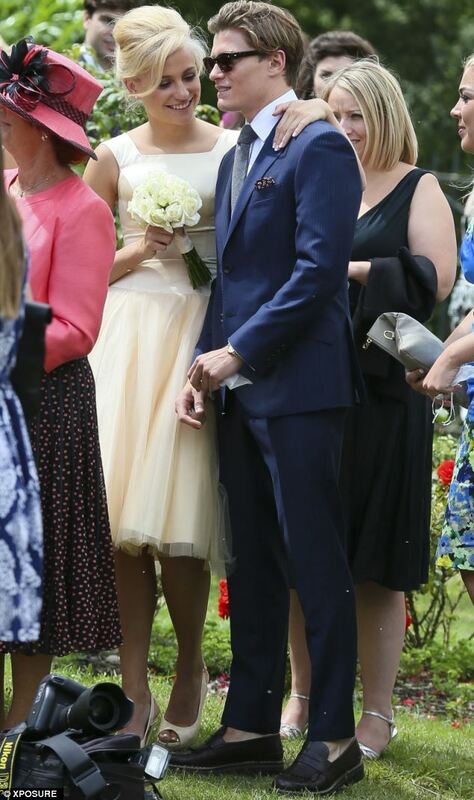 And when she wasn’t helping the bride she took in the occasion alongside her boyfriend Oliver Cheshire. The male model looked dapper in a blue suit and loafers, which he wore apparently without socks. Pixie's close friend TOWIE star Tom Pearce also attended the wedding, looking very handsome in bright blue suit with an open neck shirt.